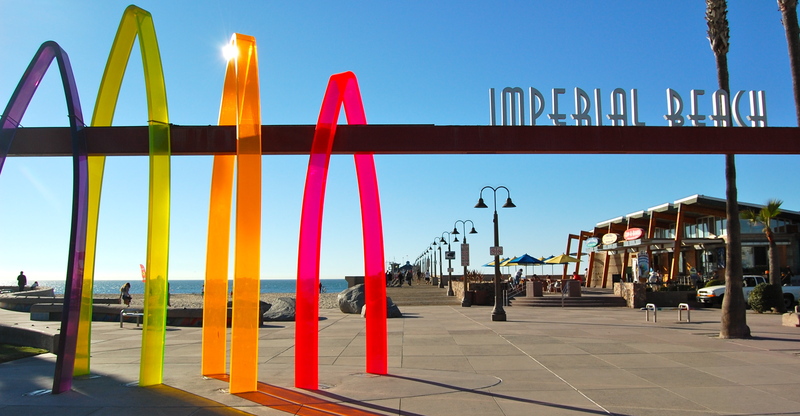 I’ve lived in Imperial Beach since 1971. 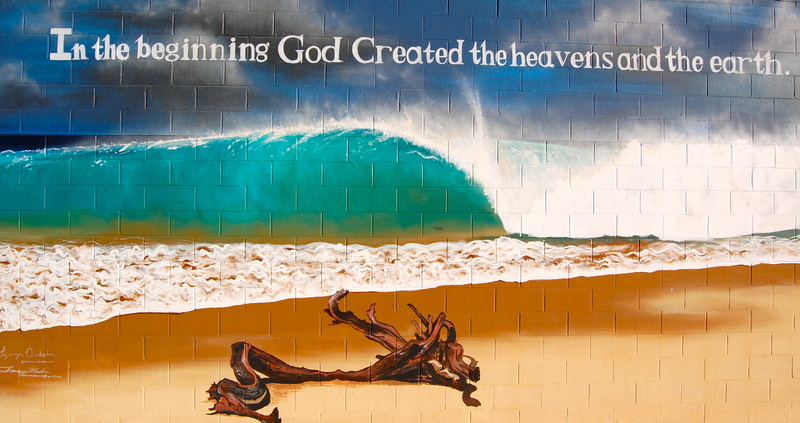 It is one of the last cool little blue collar beach towns left in Southern California. And I love the neat little ways in which people brighten up their businesses and our public plazas (courtesy of the Port of San Diego) along the beachfront. This is what gives our town character and makes us unique. And it is why I love my hometown of Imperial Beach. 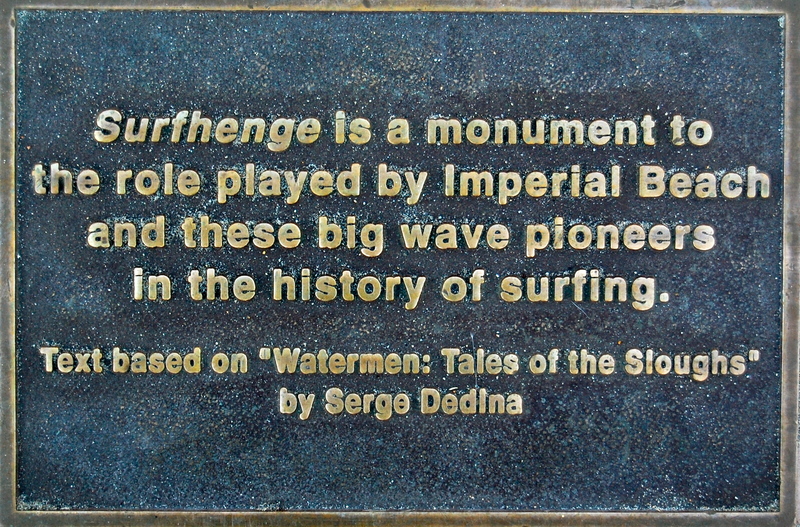 The Imperial Beach Pier Plaza and a public art project called Surfhenge. 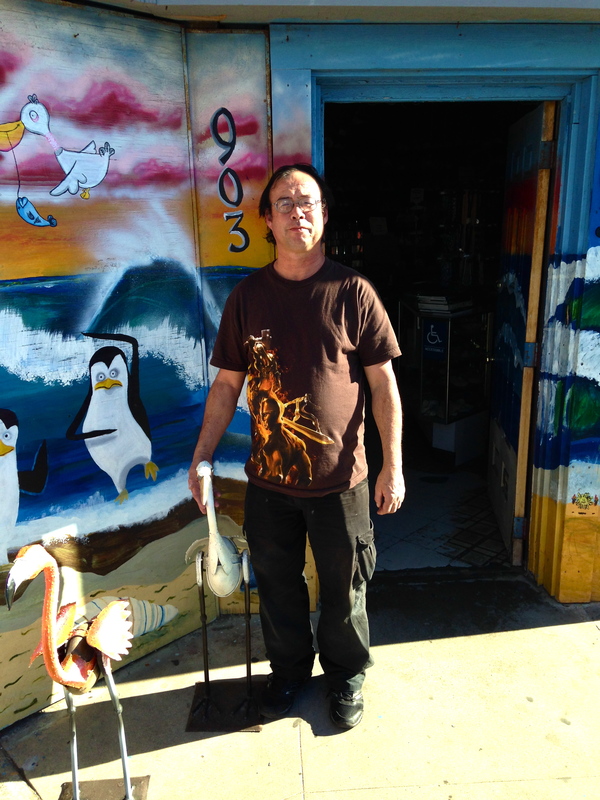 Mike Bibbey, the owner of Bibbey’s Shell Shop, is awesome–full of energy, passion and creativity. I am very honored to have helped provide the information that was used in many of the plaques along the pier. 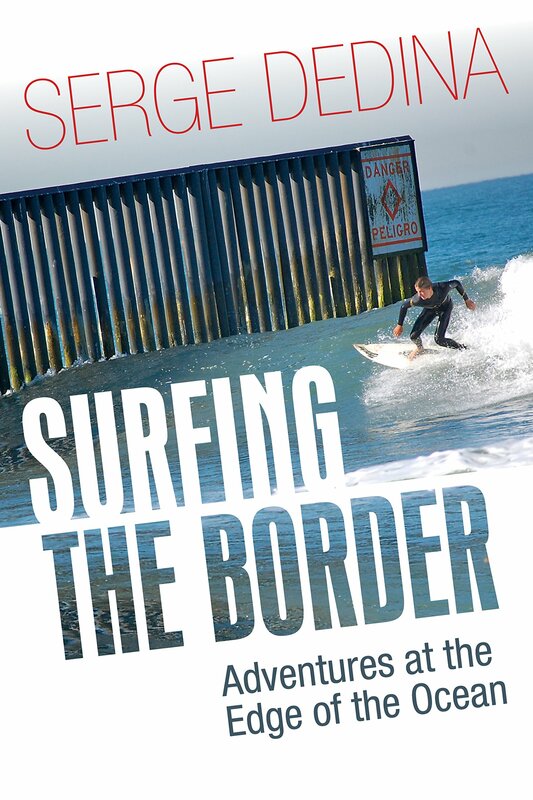 The project honors the history of surfing the Tijuana Sloughs reef. 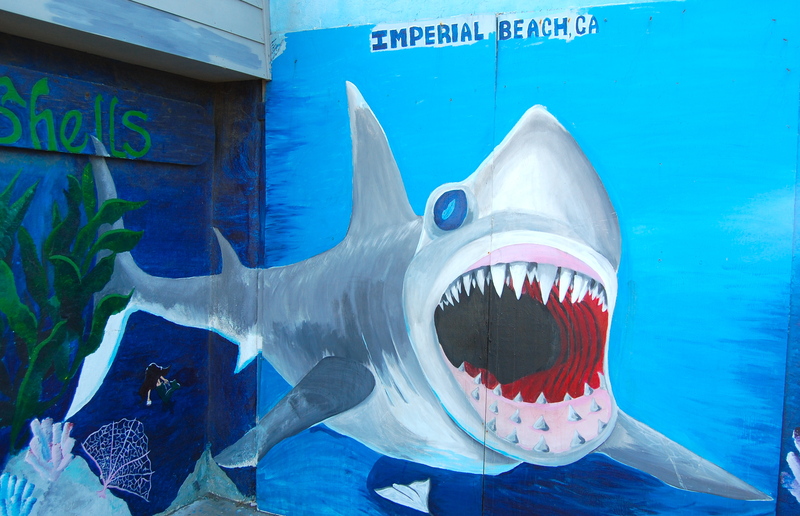 Bibbey’s Shell Shop is an IB landmark and this shark is a favorite photo stop for tourists and locals. 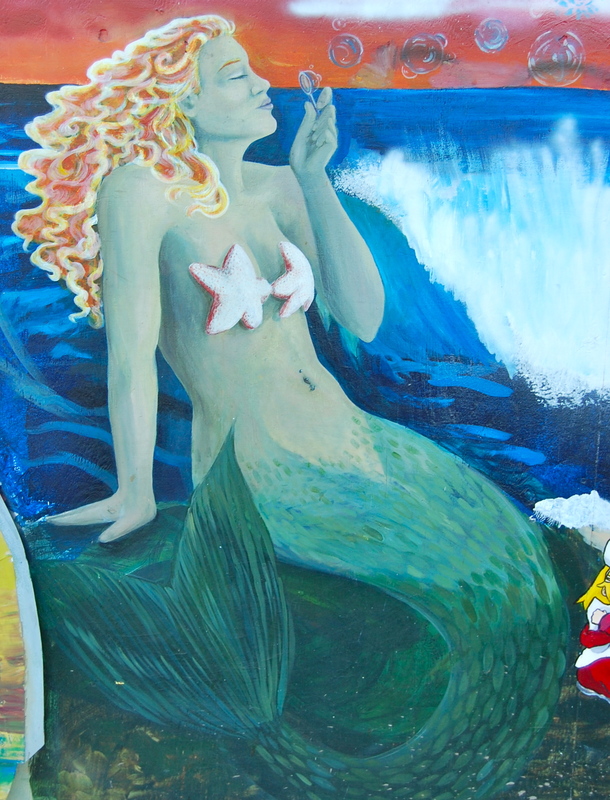 The IB mermaid at Bibbey’s Shell Shop. 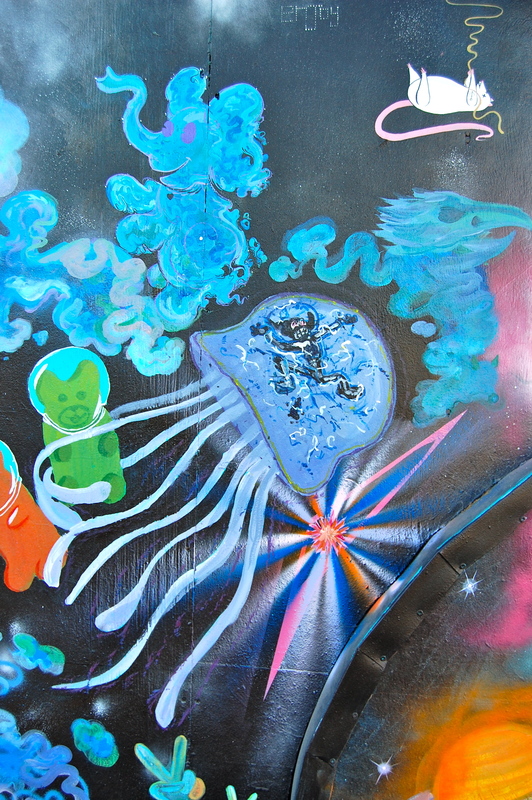 I love Bibbey’s because it is community art that makes people happy. 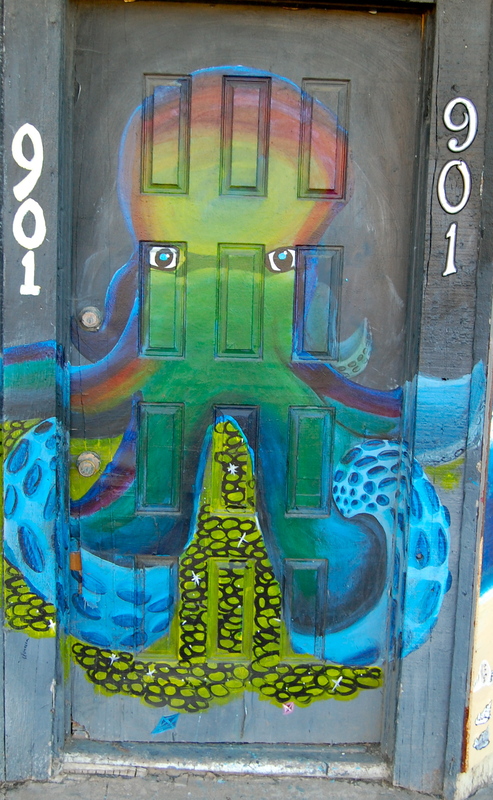 The octopus door at Bibbey’s. You have to really look close to see all of the details on the mural at Bibbey’s. 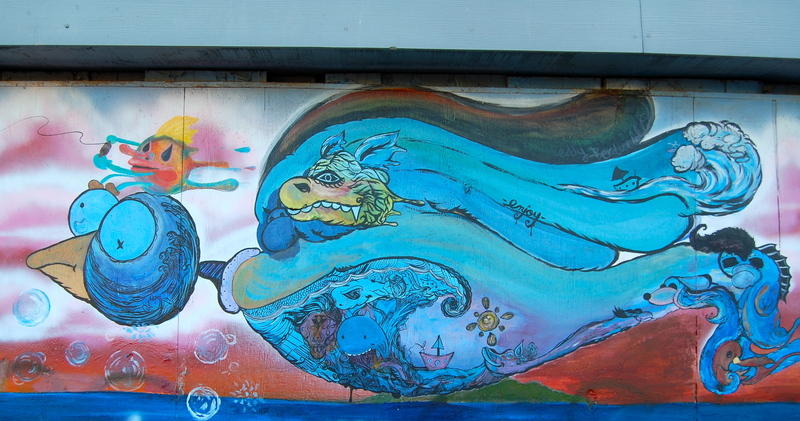 A stunning mural on the side of the building that is the location of IB Yoga–which is one of the many cool little businesses that have opened up in town over the past few years. We need more beautiful art like this around town and we need to continue to support local small businesses benefit the community.